Regardless of where you decide to host your Taunton wedding reception, you will need to think about how things are to be arranged. Choosing the perfect Southeastern Massachusetts event venue will play a big part in how many guests you can invite and the amount of space available to set up everything you want to include. Professional event planning support is available when you plan a wedding reception in Swansea, MA at the world-famous Venus de Milo. Our team of highly trained and experienced social event coordinators can help you with everything from figuring out the best options for choosing the right menu. Even if you aren’t big on dancing, one of the most important aspects of any wedding reception is to create the dance floor. Our beautiful ballrooms are made for dancing and celebrating special occasions. Our event staff can provide you with suggestions, but we will ultimately set things up according to your specifications. Once you identify where the dance floor will be, which is usually at the center or heart of the venue, you can then start figuring out where everything else will go. You can also determine where the DJ or band will set-up to maximize the impact of the music for your wedding reception in Swansea, MA. How many tables will you need at the Southeastern Massachusetts event venue? The number of guests that you want to invite, along with your wedding party and any special tables, will help to determine this figure. Some couples choose to have a “sweetheart table” instead of a long wedding party table. This frees up the bridesmaids and groomsmen to sit with their significant others and families instead of having to sit up there on “stage” with the bride and groom. It also gives the newlyweds a few intimate moments while dinner is being served to just talk, hold hands, kiss, and be together. Do you want round tables or rectangular tables? Standard chairs or Chiavari chairs? Figure out the best arrangement with our professional event planning staff to maximize the amount of space available in the ballroom. In addition to the sweetheart table or wedding party table, many couples also want to choose special tables for close family and friends. A table for the groom’s family and a table for the bride’s family, to include parents, grandparents, and possibly siblings, if there is space. Make sure these tables are closest to the bride and groom so close family members can take in everything during the reception. These are the people who have invested the most in your life, so they should have front row seats on such a special day of celebration. What else do you want to do at your wedding reception? Do you want a traditional cake and a cake-cutting ceremony? Do you want to toss a bouquet? Do you want to have a station for signing guestbooks and placing gift cards or presents? What about a bar area for drinks and a buffet area for noshing during cocktail hour? Will you have a plated dinner or will everything be served buffet style? Do you want to have other traditions incorporated into your reception at the Southeastern Massachusetts event venue? Some traditions are faith-based, while others may be cultural. Think about the amount of space you will need for each station and establish that into your layout or floorplan for the wedding reception in Swansea, MA. Some decorations may take up more space than others. Think about the centerpieces that you want to use, any stand-alone decor or opportunities that you want to include, such as a photo booth or photo backdrop. 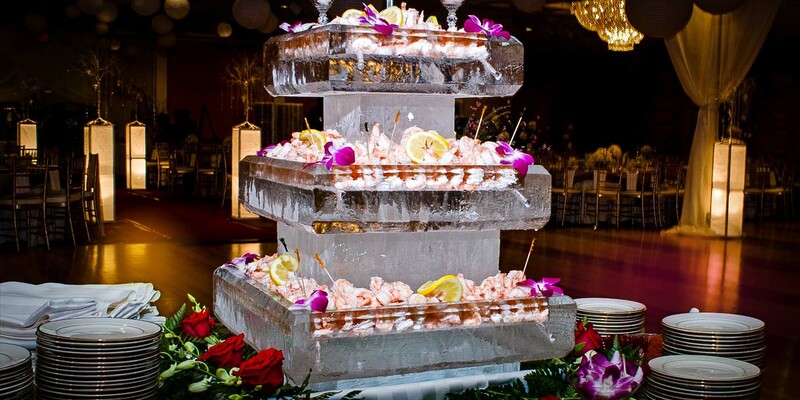 A chocolate fountain or space for the bridal party to change and hang out can also be added. It is essential to go over ideas with the social event coordinators at the venue so space can be made available. 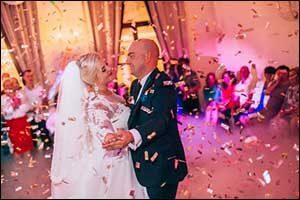 Some facilities will have unique bridal rooms or in-house options that can help you save money or reduce the number of outside vendors that you have to bring in for your reception. The more you can communicate with the professional event planning staff, the easier it will all be to plan. Couples from all over the South Coast area host their wedding celebrations at Venus de Milo. Located in Swansea, Massachusetts on Grand Army of the Republic Highway, we are conveniently located to guests coming from all over the Southeastern New England area. Many of our clients come from Southeastern Massachusetts and Rhode Island, but we have couples from all over the region at our facility. If you are interested in hosting your wedding reception in Swansea, MA, give us a call at 508-678-3901 to schedule a tour with our staff.